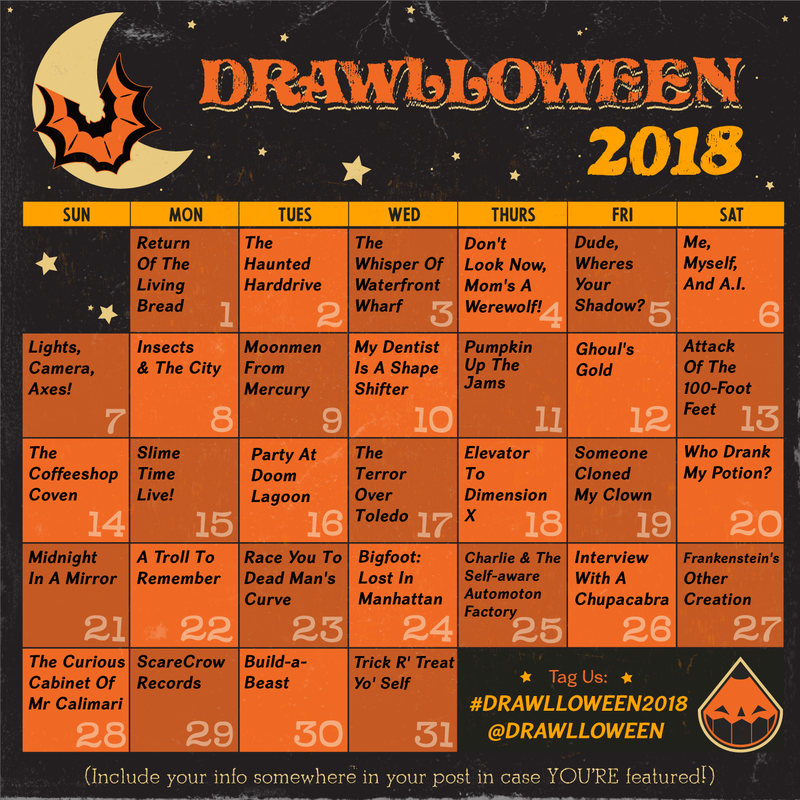 The 2017 #Drawlloween Calendar Is Here! 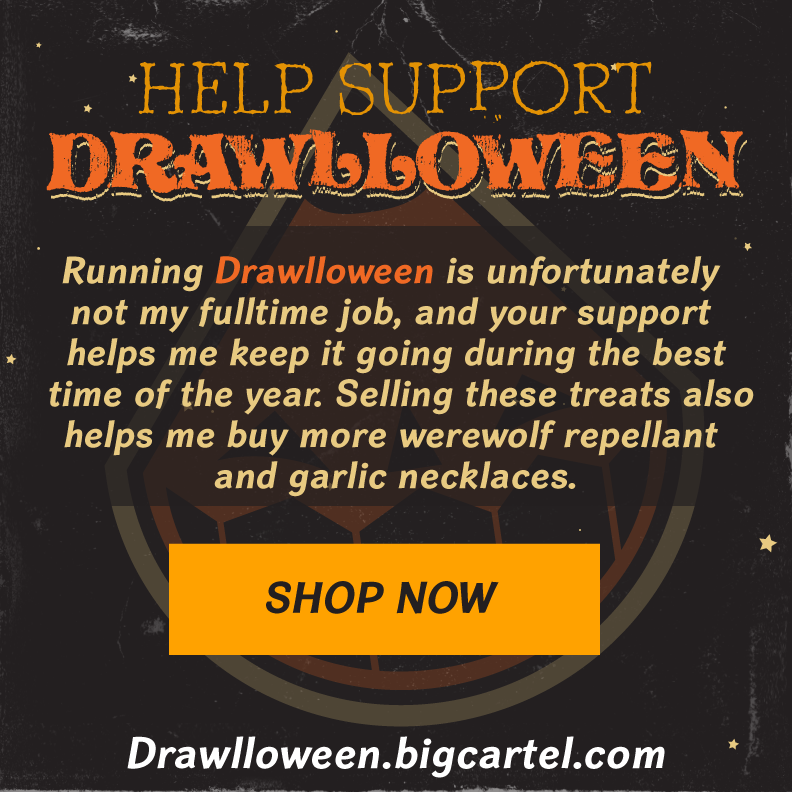 Hey there my spooky scribes and sketchers! 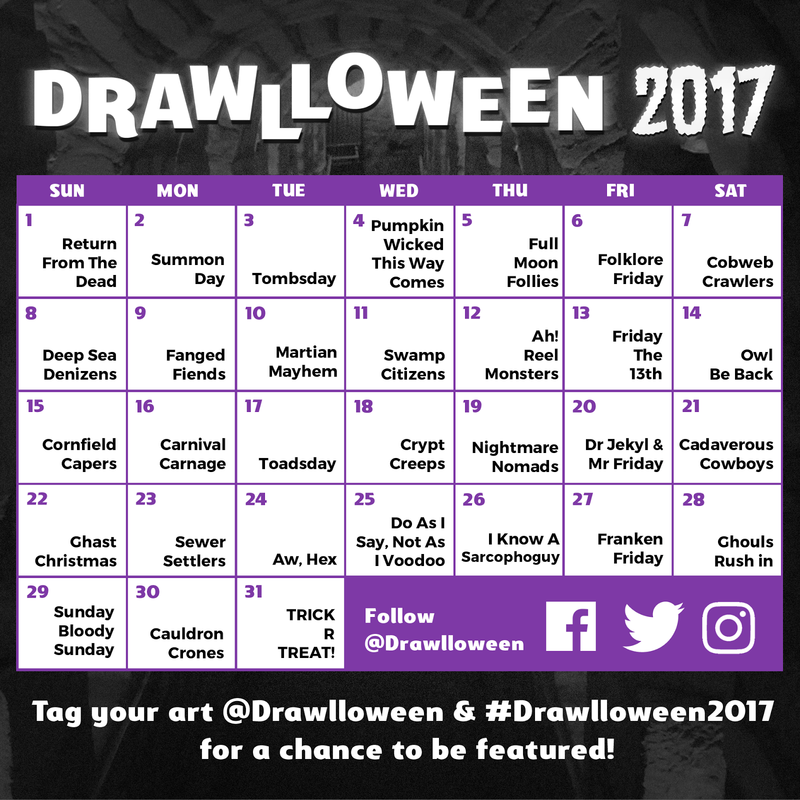 The 2017 #Drawlloween Calendar is here! New prompts, new fonts, and an actual Friday the 13th this year! Can't wait to see what sinister visions you all will dream up for this year! 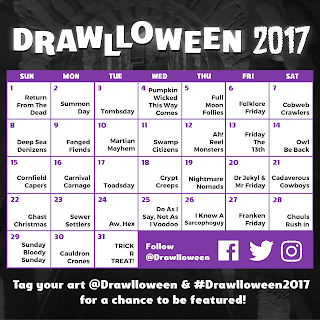 Don't forget to tag your art @Drawlloween and #Drawlloween2017! It helps me sort through the daily prompts so I can share your monstrous works with the world!